This is our suggested configuration for the ZB 625. Your own Zedbox will be configured to suit you, your family and your garden. This is a suggested interior layout for ZB 625. Your own Zedbox will be configured to suit you, your family and your lifestyle. Here's a suggested plan for the ZB 625. 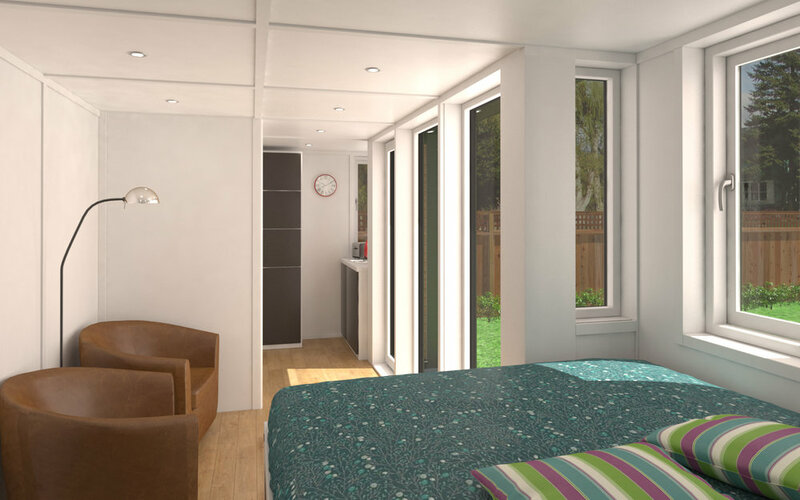 This one includes the micro kitchen, bed and wet room options. We'll specify your own Zedbox to suit you.